In mid 2017, LinkedIn was sued by HiQ Labs, an analytics start-up based in San Francisco. HiQ Labs scrapes data of thousands of employees via their public profiles on LinkedIn. They then analyse this data to provide reports for client companies. This allows said companies to monitor the status of their employees and how it may affect their business. For example, this analysis can inform clients if certain employees have updated their LinkedIn profile in a manner that suggests they plan on resigning in the near future. According to HiQ Labs, this knowledge can be vital, as the loss of “talent” can put “everything they’ve been working on… at risk”. LinkedIn claims that HiQ Labs are breaching the US Computer Fraud and Abuse Act prohibition on unauthorised access to computer systems. The company told The Wall Street Journal that “if LinkedIn members knew that hiQ was accessing and collecting their data in this manner, many would not update their profiles”. LinkedIn believes that HiQ Labs’ actions are “against the law”, and sent a cease-and-desist letter to the company, who responded by deciding to sue. In the lawsuit between LinkedIn and HiQ, the Judge has concluded that LinkedIn must allow HiQ to access profile data. Judge Edward Chen has a granted a temporary restraining order that prevents LinkedIn from continuing to block HiQ’s efforts to harvest their profile data. The Judge came to this decision with the knowledge that the block directly threatens hiQ’s business, as was proved by evidence that it was being impaired by the block. This data was obtained from public profile pages on LinkedIn, discrediting the argument that HiQ is allegedly in breach of the Computer Fraud and Abuse Act by bypassing an authentication requirement. Many spectators believe that LinkedIn’s goal is not in fact to protect the privacy of their users, but rather to protect their company from the threat of competitors. The irony is that, while LinkedIn claims that HIQs actions might cause their users to “not update their profiles”, HiQ would have never gained such publicity without this legal drama between the two companies, warning even more members of such data scraping programs. 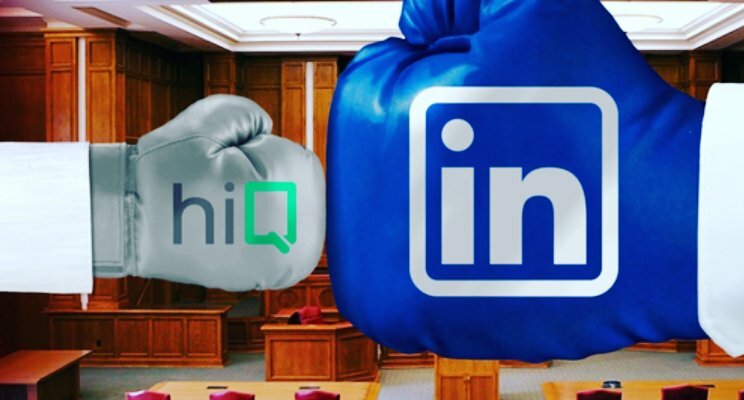 LinkedIn has since filed an appeal with the Ninth Circuit, asking to vacate the Judge Chen’s ruling ordering LinkedIn to stop blocking HiQ labs from obtaining data from their users’ profiles.